With its award-winning food and wine and one-of-a-kind intimate indoor and outdoor settings, Hotel Four Seasons offers an unparalleled dining experience. 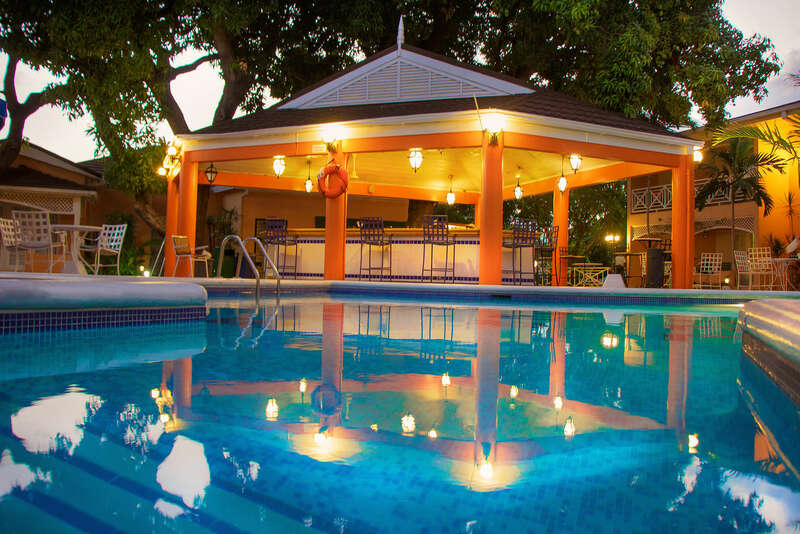 Serving up the finest beef, pork, fish and chicken dishes in Kingston, this hotel is designed to provide something for everyone to savor. Whether you are in our main restaurant or one of our cozy bars, our moderate prices, relaxed upscale design and friendly service turn new customers into regulars. Our bars are the perfect gathering spot for you to enjoy a wide variety of beverages, including classic martinis, cold beers and liqueurs, as well as a selection of mixed drinks. Attracting an array of guests from 18 to 80 years old, the atmosphere at these beautiful bars is busy yet relaxed.